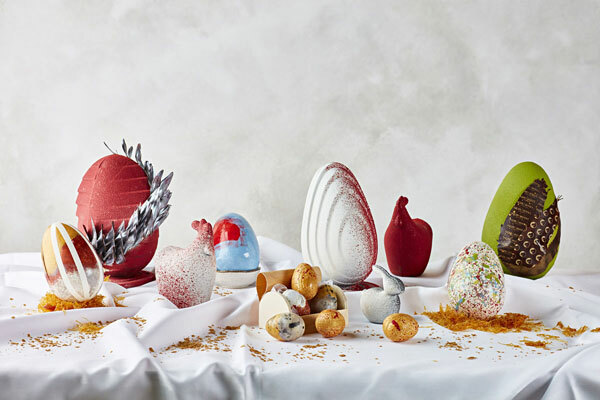 Get down to Nobu Hotel London Shoreditch to experience their take on classic brunch available this Easter weekend, with a one-off brunch menu and exclusive Easter eggs for the little ones or for you, Easter Sunday (21 April) only. get your teeth into lamb skewers Anticucho and freshly made sushi and cold dishes from the restaurant’s Brunch Bar, complete with painted eggs and a live eggs station. The a la carte menu, is also available with Japanese twists on our classic breakfast dishes alongside Nobu faves. Don’t stop there there is the hotel’s exclusive Easter Eggs, all made in-house with 72% Valhrona Chocolate and available in the Nobu Café in a variety of designs and colours (priced £20 and you can have it personalized if you give them 48 hours notice.